Sponsored by the Greater New Milford Chamber of Commerce (www.newmilford-chamber.com) and held on the magnificent village Green, Village Fair Days is the largest annual event in New Milford and draws thousands of visitors every year. 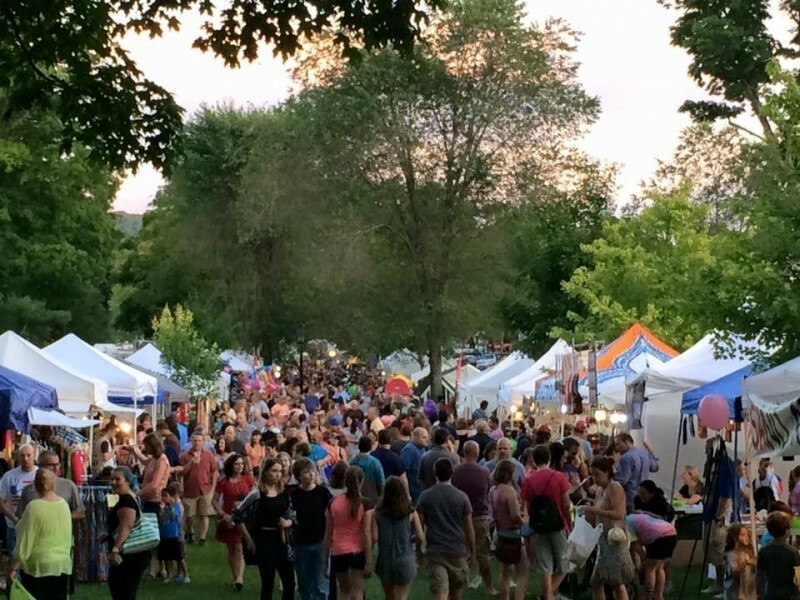 With 2 full days of live entertainment, bingo, bouncy houses, a food court and over a hundred vendor and community booths, Village Fair Days is a summertime destination for shopping, socializing, eating, and browsing. Village Fair Days 2018 will be held July 27th and July 28th from 10 am to 10 pm. Handicapped parking is available behind Town Hall, 10 Main Street, New Milford. For the safety and comfort of everyone, please leave your pets at home. Opening Ceremony, 10 am Friday July 27th (anointing of King & Queen and ribbon cutting ceremony). Amber Alert Child Identification Program, lower level of Town Hall �" Friday, 11 am to 4 pm and Saturday, 10 am to 4 pm. The Kids Fun Run will be held on Friday, July 27th at 6 pm. · Register at the Greater New Milford Chamber of Commerce/Village Fair Days booth between 10 am and 5:30 pm. Old Fashioned Pie Eating Contest, Saturday at 4:30 pm on the Main Stage. The extraordinary volunteers, who make up the Village Fair Days Committee, work year-round to make the Fair an enjoyable experience for everyone. The Chamber extends its gratitude to them and thanks all who help make Village Fair Days such a spectacular event! The Greater New Milford Chamber of Commerce and Village Fair Days Committee cordially invite you to attend.